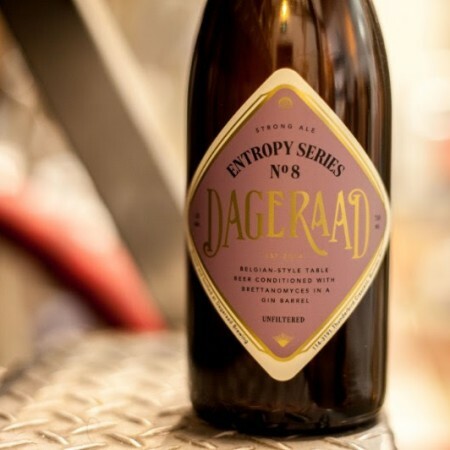 BURNABY, BC – Dageraad Brewing has announced release details for the latest in its Entropy Series of limited edition barrel-aged beers. We took our classic Burnabarian and aged it in an ex-gin barrel for five months over the winter with some brettanomyces and a strain of lactobaccilus. The result is a subtle, complex, well-balanced and beautifully dry beer. The gin barrel character is mellow and the beer only picked up a slight tartness from the lactobaccilus. There is a lovely, fruity, lightly funky brett character, and some residual spice from the Burnabarian blends well with the botanicals from the gin barrel. Entropy Series No. 8 will be available in a limited run of 750 ml bottles, and will go on sale at Dageraad on Saturday July 28th. Due to the small size of the batch, it is expected to sell out over the weekend.